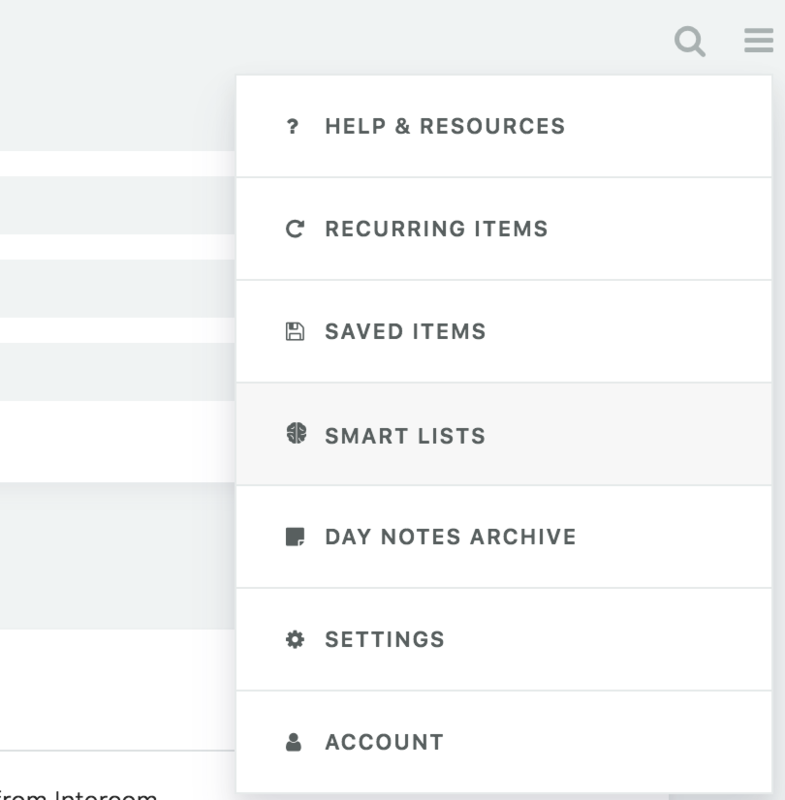 How can I reorder my Smart Lists? To change the order of your Smart Lists. click on the menu at the top right and select "Smart Lists". There you can drag and drop the lists to reorder them. 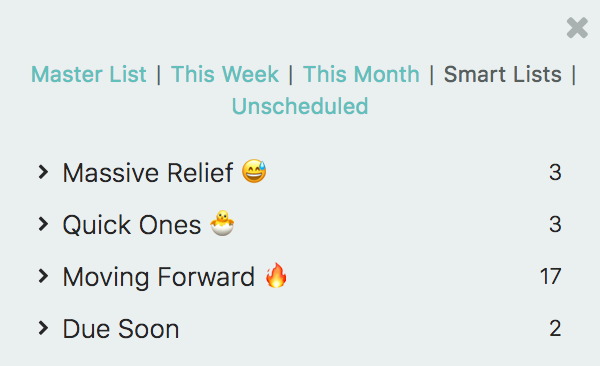 This order will be the same order your Smart Lists have in the sidebar.